This beautiful 7 person house has a stunning lake view, parking, TV, and is perfect for kids as it has a ping pong table, foosball table, swings and a large sunny terrace. 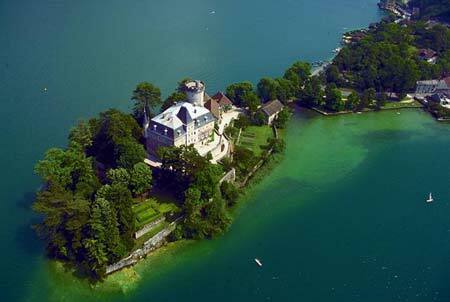 Hotel Beau Sejour is a secret place on the lakeside under the shade of Cedre trees. 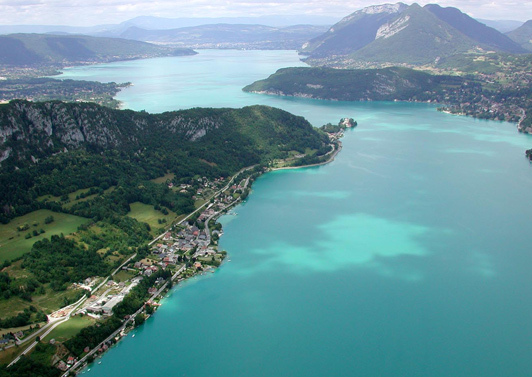 Lac d Annecy - Saint Jorioz : Lovely french holiday home for 12 people with a direct access to the lake from the garden. House on 2 levels on a parc of 5000m. 5 bedrooms and adormitory for 4 people. Port mooring for a boat. Port area, with only local car traffic, very sunny and quiet, the cycling lane is next to the house, the village center and all the shops are only at 5 minutes. Perfect location for family holidays on the lake shore. This authentic pleasantly decorated cottage is located in a green haven dominated by mountains. A lovely modern chalet in the quaint village of Bluffy only a few minutes from the lake. House has 6 bedrooms and sleeps 10 people in comfort. 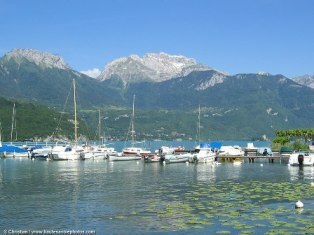 Lake Annecy - Menthon Saint Bernard : Family villa with swimming pool for 16 poeple, ideal for a family with children. 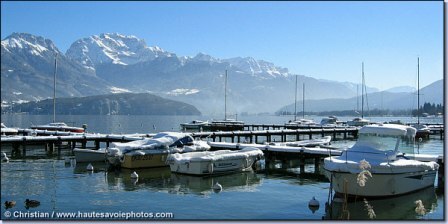 Showing off a magnificent view of Lake Annecy, the mountains and the medieval castle of Menthon Saint Bernard, this large villa has 7 bedrooms and 3 bathrooms. 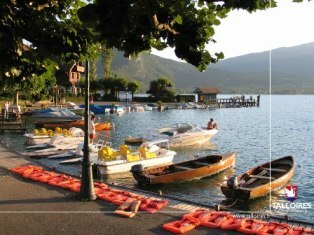 Lake Annecy - Veyrier du lac village : Ideally located at the lake front, beautiful villa for 10 people. 5 bedrooms, 3 bathrooms, swimming pool. 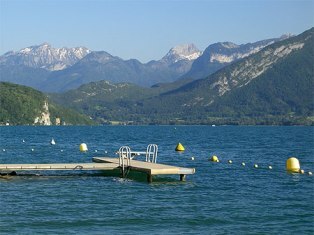 Ideally located between the harbor and the beach of Veyrier du lac village on the East bank of the lake Annecy, the lake and all activities are at the door of the villa. Beautiful wooden terrace with garden around the pool and shaded by sun canopy. Cap Panarama is in a great location to the rear of the village with panoramic views. This apartment is a duplex with a ground floor terrace leading to a small garden. You can eat Al Fresco with West facing views lovely evening sun and a bottle of Rose or why not push the boat out Champagne. This beautiful family house oozes charm and is located in a quiet rural hamlet with a beautiful view over the surrounding countryside and mountains. Completely renovated, the decor is a charming blend of old and new. 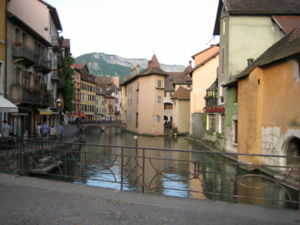 Pleasent flat with 3 rooms for 4 people in village of Talloires. 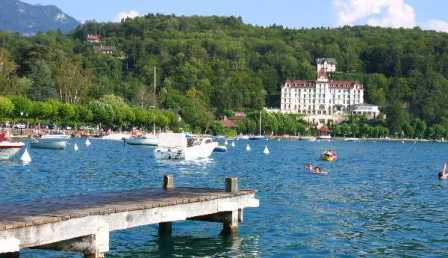 A nice traditional chalet in the pretty hamlet of Bluffy with views of the Chateaux and distant views of the lake. 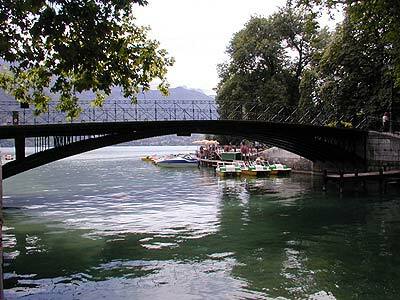 House for 4 people in green surroundings and 200 metres from the lake. A brand new 4 bedroom, open plan chalet completed in July 2009. Sleeps 8. 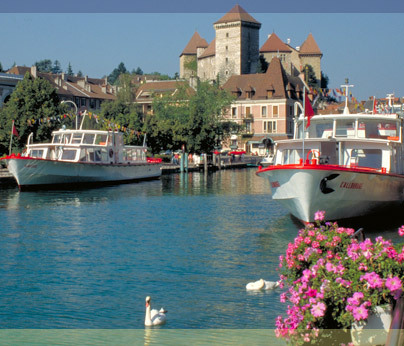 Le Chatelard is in the heart of Les Bauges National Park, an area of outstanding beauty just 55mins from Geneva. 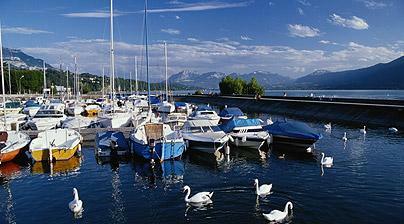 Annecy, the 'little venice' of the Alps, is just 30 mins away. Stunning views from huge terrace balcony looking out at awesome Mt Colombier. 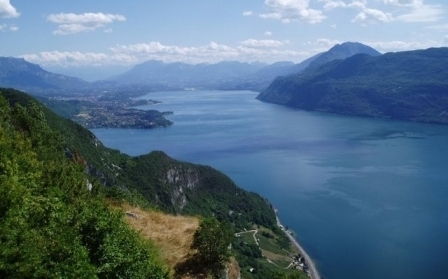 Large old-style chalet with stunning views in a quiet location. Perfect for large groups. Beautiful apartment for 6 people with fantastic views.